Please find this very good article from the New York Times (via the Arizona Daily Star) that helps to put the current market instability into perspective. The article points out that retirement portfolios usually take years or even decades to come to fruition, so it suggests that impulsive moves to cut losses by selling stocks may hurt retirement portfolios that an investor may need to rely upon for 30 years. Here, at Jim Hannley LLC we were busy during this upset examining our client accounts to determine which, if any of our allocations needed to be rebalanced. 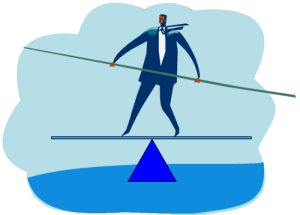 (For more detailed information about rebalancing; especially how tactical and strategic rebalancing differ, please find that elsewhere on our site.) Not surprisingly, due to the sharp sell off of equities last Friday and Monday, we found that our allocations to our large cap funds, our international funds, our emerging markets funds (both equities and fixed income) and our core bond funds had moved away from their target allocations. In response, we placed many orders to buy or sell these funds to restore their model allocations. This is strategic rebalancing because we are not increasing or decreasing our allocations away from our models (sometimes referred to underweighting or overweighting an asset class) by speculating that one asset class or another will be a winner or a loser. However, this does not mean that strategic rebalancing cannot result in a short term gain. For instance, if we find that the AJAX large cap fund is down 2% and, as a result, our 20% allocation to AJAX as our Large Cap vehicle is now 19.6%; we will buy more AJAX to restore it to 20%. This means that in a $100,000 portfolio AJAX, for example, prior to the event was selling at $10/unit and it is now selling at $9.80 we might need to buy $400 of AJAX to bring the AJAX allocation of $20,000 from $19,600 back to $20,000. We now own 40.8 more units of AJAX than we did before the event. If the price of AJAX cycles back up to $10.10/unit we find that we now hold 2040.8 units with a value of $20,612. If we rebalance once again, we will sell 60.6 units for $612 and realize a short term gain of $212 ($612-$400). Conversely, because our international, domestic and emerging markets equities are collectively down 4% in the portfolio, our fixed income allocation has grown from 30% to 31.25% (up 4%) in our depressed portfolio now valued at $96,000. The fixed income fund has not increased its share price, but its proportional amount to the entire $96,000 portfolio has increased. We are going to have to sell $1,250 of our bond fund to bring the bond fund from $30,000 to $28,800 ($28,800/$96,000 = 30%). We now have another $1,200 in cash with which to buy more equities while their share prices are (temporarily) depressed. This exercise will, hopefully demonstrate that roiled markets bring investment opportunities to investors who know how to strategically rebalance their portfolios to take advantage of price changes in their funds.